It has been a rainy week, and I have so enjoyed it. I went to dinner with my friend. Our October walking schedule has been planned, and I am looking forward to those days. We are also planning a craft day on Monday to make bird seed ornaments to donate to a school that said they would like to have some. Then on Tuesday, we will have a craft day to make fabric pumpkins. My friends liked the fabric pumpkins I made for my grandchildren. and I heart that the pumpkins were a great hit. Each grandchild went to sleep, hugging their pumpkin. My youngest took it to Share and Tell today. I have also spent time reading and watching tutorials on both modern quilts and artistic quilts. The Improv Handbook for Modern Quilts by Sherri Lynn Wood. Tierney, of Tierny Creates, posted information about this book, and I am so glad she did. I have read and reread this book, and I am learning so much. I shared it with my sister, and she and I are discussing it. I also have been studying a book by Shannon Brinkley, Scrappy Bits Applique. Shannon is a fabric designer and quilter based out of Austin. My friend, Nancy, and I ran across some of her fabric at a quilt store in Austin. Nancy has made some pillows using Brinkley’s fabric and stencils and she has one posted on her etsy store. I am interested in trying out a collage type quilt. Right now, I am just drawing some trees and landscapes, to get an idea of what I want to do. I also made myself another fall pillow. I can use this on my comfy reading chair. On my table right now, I have some fabrics that I think I will use to make me an autumn tote of some kind. My brother is spoiling me. He sent me another box of fabric! Although my previous post about the Salute to Texas Quilt Show seemed like it was all about me, that was not my intention. I was just in shock and totally flabbergasted about the Honorable Mention. The Tribute to Tonie quilt meant so much to me. People who did not know my mother, said they learned a bit about her by looking at my quilt. This just blew me away. This post is about quilt shows. I have only been to four quilt shows, and I plan to attend more. What a beautiful way to learn from and be inspired by others. The whole process of creating a quilt and entering it into a show is a learning experience. Yesterday, I spent hours viewing and studying the quilts at the show. I had the opportunity to speak to friends who had entries, and I got to make new friends. My friend from Las Colchas, Vickie Owen, won a Red Ribbon for a quilt in the Art category. She captured the photorealism movement of the artist, Chuck Close. 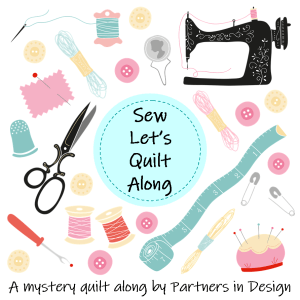 When I first started quilting, I picked safe colors, and usually dull patterns. Vickie taught me how to play with color and pattern. Vickie’s entry into the Modern Quilt category is an example of what she does with color and pattern. She won a Red Ribbon for this quilt. The Honorable Mention winner in the Modern category was a cheery and colorful display of owls on white background. Since I love everything Autumn, this Blue Ribbon quilt in the Large Applique category caught my eye. Another quilt in the Large Applique category was this adorable quilt of pigs. The fabric, color, and texture made this such a fun quilt. Simple, yet delightful. In the Small Applique category there was this gorgeous floral sphere. Another one of my favorites was in the Art/Fiber Arts category. There was another bird-themed quilt in the Art/Fiber Arts category. I loved the fabric in this Blue Ribbon winner in the Large Pieced category. An Honorable Mention winner in the Large Pieced Category made me laugh. My all time favorite was also the Judge’s Choice Award winner. There were so many embroidered details, such as the family faces in the tree trunk. She had insects and mythical characters throughout the quilt. Here is a close up of the insects…absolutely gorgeous. My new interest is in learning more about modern/art quilts. I am just beginning to study these areas. I am already learning just by reading some of the blogs I follow. Any input, ideas, and suggestions from the blogging world is welcomed. Last night, I was not able to attend preview night for the Salute to Texas Quilt Show. This morning, my sister Adri and I went to the first day of the show. When we started down the first row in the Salute to Texas section, I was in awe of some of the gorgeous Texas quilts. It was cool to see my little Wild About Texas quilt hanging in the midst of all these quilts. I wanted to show case the floral photos by Richard Reynolds. Two women were talking about how realistic the photos were, so I gladly told them about Richard. As my sister and I went down each row, admiring the beautiful quilts, we got a text that my sister, Emma, had driven down from Austin. She was up front, so we went back to get her and started viewing the quilts from the beginning. It felt so good to see people talking about my second quilt, Hope. I heard people talk about liking the theme, the use of color, and the keyboarding. This was basically made from scraps. I did not know if I liked this one, so hearing other people’s positive review was good feedback. We continued on to the last section, which was the First Entry category. I had entered the Tribute to Tonie , the memory quilt in honor of my mom, under this category. This was the quilt that my friend, Jeana Kubik, had suggested that I enter. There was a collective gasp as my sisters and I saw the Honorary Mention ribbon on my quilt! I was speechless…not common for me at all. I know my mom had her hand in me winning this ribbon! The top two rows cannot be seen, since the height of the hanging poles is 90 inches. It was great having my two sisters with me. Jeana Kubik is the person who long armed the quilt for me. Jeana had texted me on Thursday night to see if I was coming to the show on Friday. I thought it was strange that she would be asking me this. Today she told me that she had a hard time keeping the ribbon a secret. It has been a very surprising and exciting day. My first quilt show has been a great experience. I have been busy making fall decorations in preparation for today, the Autumn Equinox. This morning, I pulled out my autumn pendant and autumn themed shirts. My breakfast was a pumpkin donut from Dunkin’ Donuts. I was all ready to welcome autumn, then my son sent me this photo/message and brought me back to reality. It was 81 degrees at midnight. Today’s high will be 85 degrees with the humidity index making it feel like 95 degrees. Oh well, I will just read some autumn poems and dream. The Autumn Equinox 2017 in the Northern Hemisphere will be at 3:02 PM on Friday, September 22. It is 5:42 pm, and I have the air conditioner and ceiling fans on. The temperature has gone down to 92 at this time. I made an autumn pillow, in order to make fall feel welcomed when it arrives on Friday. Maybe a little positive thinking will get the autumn breeze to come. For the pillow, I used some of the fabric swatches my brother sent me; along with remnants from last year’s fall project. The pillow backing is made from fabric I purchased to make table place mats. I have viewed many tutorials on how to miter corners. For the place mats, I tried the “lazy binding” method. I am not satisfied with the results, so I will have to rethink this. I used the fabric swatches to make the leaves for applique. This morning, my husband helped me drop off the three quilts at the location for the quilt show. When we arrived at the center, I ran into Vicky, from Las Colchas. She is one of the ladies who helped me when I first started quilting. The guild members measured and bagged my quilts. There will be a preview for participants on Thursday night. The center is on the Northwest side of San Antonio. Traveling to the center from our home on the Northeast side, was a trip down memory lane. Our first apartment and schools where we worked were in this area. We did a little time travel and drove by to all the special places from our past. It turned out to be a very nice morning. It was a great day, visiting my son and 3-year-old grandson. My grandson has his own workbench in his dad’s workshop where he creates beautiful works of art. These are two wood sculptures he gave me today. He said he used plenty of glue to make them sturdy. These are my new treasures! My daughter-in-law loved the other pillowcases I made. I needed to make two more. When I went on my Halloween fabric purchasing spree, I found these adorable wacky polka-dot fabrics. I thought that the Jack-o-Lantern and candy fabric, and the polka-dots, would make cheery pillowcases. I made these burrito pillowcases instead of binding a quilt that must be delivered to the show on Tuesday. What a Terrific Thursday it has been! My granddaughter invited me to a Grandparent’s Day Lunch at her school. There is NOTHING like eating lunch in a school cafeteria…I love it! My granddaughter gave me a tour of her classroom before we went to lunch. Lunch was filled with delightful conversation. Then, of course, we went out to recess. At the end of recess, my granddaughter lined up with the rest of her class. As I walked away, I looked back and I could see her sweet face still looking at me. I waved and blew her a kiss, and she in turn blew me a kiss. I really wanted to go back and hug her, but I didn’t want to embarrass her. Afterwards, I made my way to the B&B Quilt Shop…just to look around. Nancy and Lori, the two sisters who own the store, are super helpful. I just so happened to take my QAL blocks with me, just in case I saw something that might enhance the quilt. My plan is to make a keyboard outer border with all the fabric pieces I have used in the Christmas quilt. I have been looking for a sashing fabric that would make the blocks pop out. My blocks are dark red and green fabrics with many patterns. The sashing needs to be something a bit more subdued. Nancy helped me find a gold-ish fabric that reminds me of garlands. I also found some beautiful fat quarters that might be useful in the remaining blocks. I plan to make some fabric pumpkins with the fancier swatches in box of fabric my brother gave me. The fabric is rich in color and texture, so I wanted the leaves and stems to be made with wool. I found some perfect squares of wool at the B& B, at a pretty good price. Even though I have a great dentist, this is one appointment I always seem to postpone. It should be for a cleaning only. On my way to the fabric shop, I received a call from my daughter-in-law, who lives in Mckinney, Texas. She had received the box of Halloween things I made, and she was excited and happy about all of the items. We spent a good while talking about different ideas and tutorials. She is making a fleece and felt blanket that she designed herself. It will be a four seasons blanket. I can’t wait to see it. Now, I am ready for Friday.